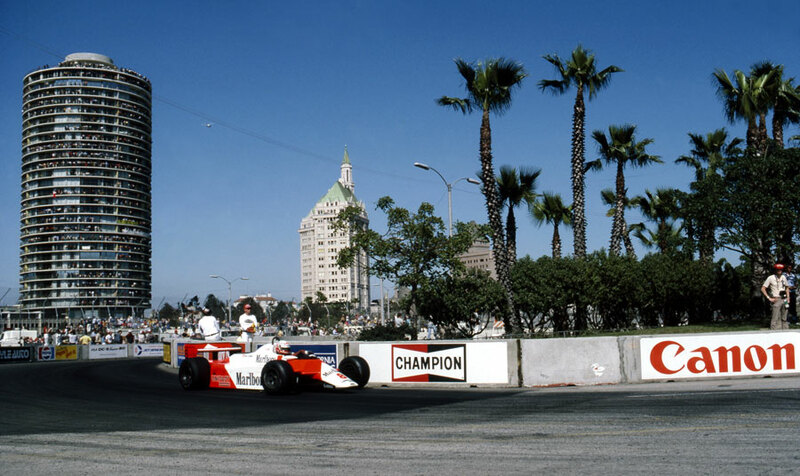 Niki Lauda, in his third start since ending his two-year retirement, showed he was still a major force with victory at Long Beach. He said of his comeback, after the near-fatal accident which left him with severe facial burns - his first F1 victory in almost five years: "I said it would take three races and thank God it did," he said. His win was all the more remarkable because he lost half his gears midway through the race. Andrea de Cesaris raised more than a few eyebrows when he took pole, although Lauda, alongside him on the front row, told journalists: "Andrea take pole, I take the race." And so it proved. Lauda slotted in behind de Cesaris for 15 laps before almost effortlessly passing, and from then on he was unchallenged, even having the luxury of easing off from around the halfway mark to nurse his car. Meanwhile, de Cesaris' weekend ended when he crashed his Alfa Romeo into a wall. Keke Rosberg, who took second, admitted: "It wasn't a real race. The rest of us just had to conserve what we had." Any hope this would be a controversy-free grand prix was scotched when Gilles Villeneuve was disqualified after finishing third, stewards upholding an appeal that the wings on the Ferrari were too wide. When Lauda walked into the post-race press conference there was spontaneous applause for the Austrian who didn't wait to be introduced. Instead, he barked: "Any question?" He controlled the press conference as he had the race. Away from the track, FIA president Jean-Marie Balestre again made the headlines for the wrong reasons, a bullish press conference explaining forthcoming rule changes achieving the opposite of what was intended. "He baffled the audience and also, apparently, himself," noted The Times. "As usual he managed to make enough enemies for reasoned consideration of his proposals to be impossible."